With bi-coloured or classic black band (to be specified in the notes dialog box). 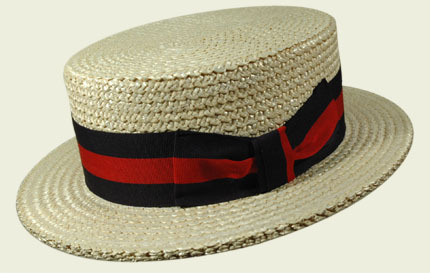 Double brimmed rigid straw boater. Made in Italy.